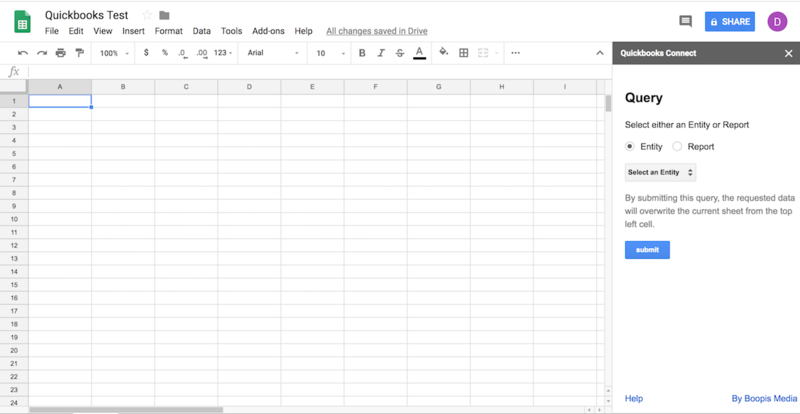 Import all of your Quickbooks data into a spreadsheet with the Google Add-On Quickbooks Connect. 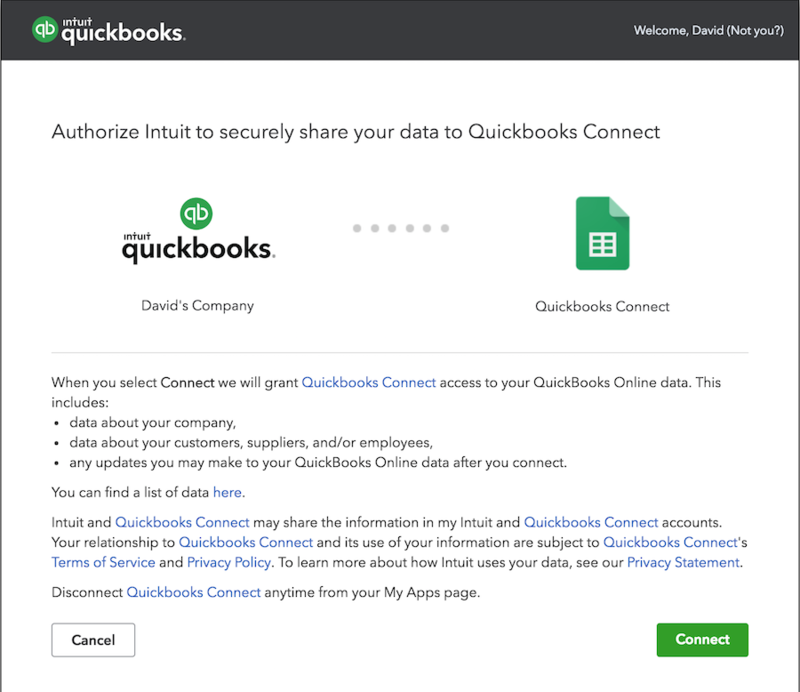 Analyzing your data has never been easier with Quickbooks Connect. Use your favorite spreadsheet app to manipulate your Accounting data in a way that makes sense to you and in a way that's easy to manage. If the sidebar does not appear, navigate to Add-Ons->Quickbooks Connect->Authenticate in your Google Sheets navigation menu. You will be redirected to a window that will show whether or not authentication has been successful. 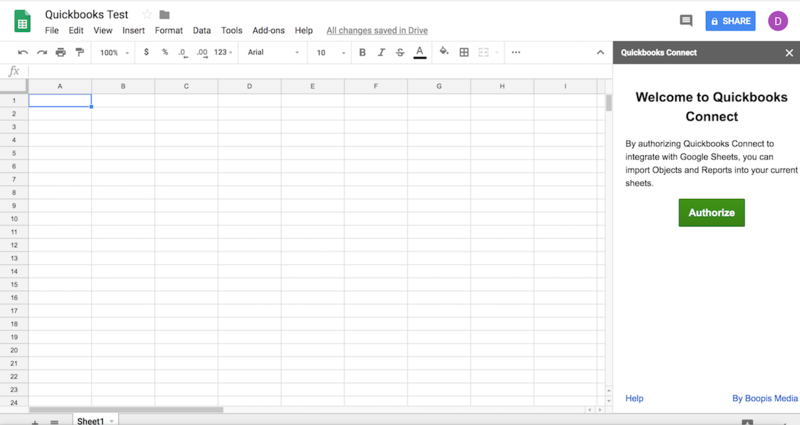 If successful, close the window and you can begin querying your data through Google Sheets. To retrieve data from Quickbooks, in the sidebar menu select either an Entity or Report. Select an item from the drop down menu. Then select the submit button. The data will be presented to you in an organized format from the uppermost left cell in your existing sheet.